As we are progressing more and more into the 21st century, the importance of online marketing and shopping is on the rise like never before. Who would’ve thought that you can have your dress altered while sitting in your coziest of the blankets or get your food delivered in a few clicks? The Internet has brought everything closer, you are never too far from a marketplace, the marketplace is on your laptop screen. People are shopping at work or while traveling, everywhere and at any time of the day, across devices. With that being the case, a retailer needs to be present with their inventory showcased wherever and whenever consumers are shopping. And that can only be achieved by maintaining a presence in a multitude of online channels. A retailer’s online marketing strategy is incomplete without shopping ads on Google. These ads allow you to showcase your stuff to the shoppers who matter the most — whether they are at home, office, traveling or even in a store. If they are online and looking for what you offer, they’ll see what you are offering. A shopping ad will show an image of your product with the title, price, store name & other important details on it. Google doesn’t charge the advertiser a penny until a user clicks on an ad and visits the advertiser’s website. An advertiser can now place their shopping ads via different Comparison-shopping services (CSSs). You have to work with at least one CSS to place shopping ads. There are many types of services, expertise and charging models that CSSs can offer. Some specialize in specific categories (Apparels, for example), some manage feeds for you, some provide tools for you to manage your product data and strategies yourself, and some charge a fee per click while others work on commission on every sale they help drive. Comparison shopping services (CSSs) can place shopping ads on behalf of merchants. Merchants can showcase their products on CSSs website (Google shopping, for example). They offer users a variety of features, such as an ability to search and compare products offered by different shops and retailers. Most CSSs also advertise their partners’ products on other platforms to generate leads. For example, Shopping ads on Google’s search result page. Some CSSs are dedicated to specific channels while some will generate leads for advertisers across a multitude of channels. 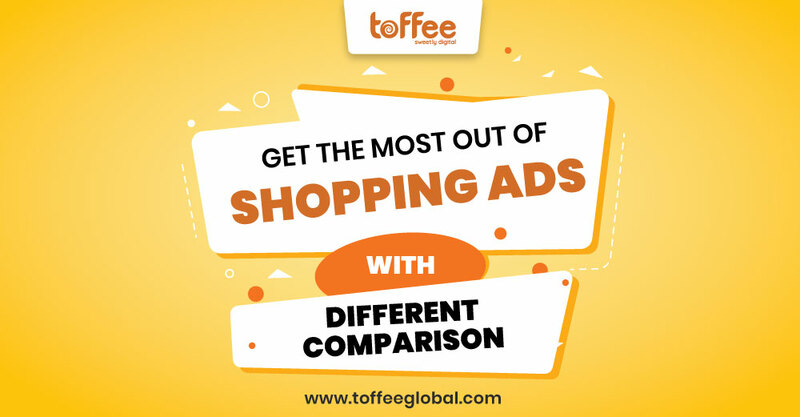 If you are not yet using shopping ads to generate leads for your business, then comparison shopping services (CSSs) can help you with the initial setup and take care of the details for you. You don’t even have to be an expert in feed and campaign management yourself, CSSs will take care of that for you.